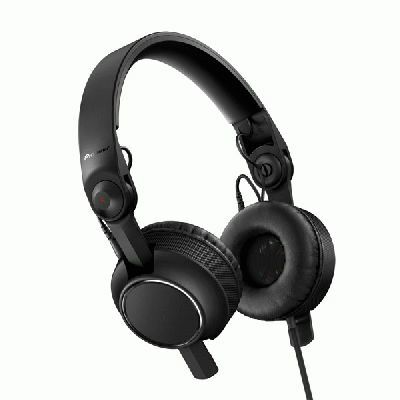 Pioneer Electronics (USA) Inc.’s Professional Sound and Visual Division today introduced the HDJ-C70 professional on-ear headphones intended for DJs who prefer a headset that is lightweight, extremely flexible, and can produce audio with more impactful bass and clear mid and high frequencies. The new HDJ-C70 model sets itself apart from other Pioneer HDJ offerings with the use of smaller, more compact ear cups, rotatable arms, interchangeable parts, and a minimalistic cosmetic look. The HDJ-C70 utilizes large 40mm drivers specially tuned to produce the lower bass frequency region in music. The combination of large 40mm drivers, copper-clad aluminum wire (CCAW) voice coils, neodymium magnets, and 2,000 mW input capacity helps to generate clean and clear audio output with increased bass response. The new headphones are also designed to help minimize loud background noise, often found in loud environments such as a DJ booth, by utilizing a special sound-isolation “air chamber” integrated into the housing of the earpiece. The innovative air chamber also helps to isolate low and mid frequencies resulting in better defined mid-bass/mid-range sound output. The headband of the HDJ-C70 is made of a polyamide resin for maximum flexibility, to accommodate the constant pulling and twisting of the headphones by users. The ear cup housing also utilizes a ridged rubber ring for improved grip of the headphones and reduced chances of slipping. For ultra-comfortable wear and to fit different head sizes the ear cups of the HDJ-C70 are designed to move vertically along the slider arms, offering a total of 15 different positions. Furthermore, the slider arms can be rotated up to 90 degrees in each direction, providing the greatest flexibility for different styles of DJing. The model incorporates soft, extremely comfortable low-resilience urethane memory foam ear pads to create a nice seal around the ears which also helps in reducing external sounds. The urethane memory pads are wrapped in soft black leather for maximum feel and extended comfort. Furthermore, the HDJ-C70 features interchangeable parts for greater longevity. The headband, earpads, housing, cushion and cables can be removed and replaced (parts sold separately). The headphones are pre-installed with a 1.6m straight cord that can also be swapped with a 1.0m coiled cord (included). A compact carrying pouch for added protection and convenience comes with the unit. The Pioneer HDJ-C70 headphones are available in October with a suggested price of $239.